In many social and economic settings, decisions of individuals are affected by the actions of their friends, colleagues, and peers. Examples include adoption of new products and innovations, opinion formation and social learning, public good provision, financial exchanges and international trade. Network games have emerged as a powerful framework to study these settings with particular focus on how the underlying patterns of interactions, governed by a network, affect the economic outcomes. For tractability reasons, much of the work in this area studied games with special structure (e.g., quadratic cost functions, scalar non-negative strategies) or special properties (e.g., games of strategic complements or substitutes). These works relied on disparate techniques for their analysis which then led to different focal network properties for existence and uniqueness of equilibria. In this talk, we will present a unified framework based on a variational inequality reformulation of the Nash equilibrium to study equilibrium properties of network games including existence and uniqueness, convergence of the best response dynamics and comparative statics. Our framework extends the literature in multiple dimensions. It applies to games with strategic complements, substitutes as well as games with general strategic interactions. It provides a systematic understanding of which spectral properties of the network are relevant in establishing fundamental properties of the equilibrium. Moreover, it covers network games with multidimensional and constrained strategy sets. This is joint work with Francesca Parise. She is currently a professor in the Electrical Engineering and Computer Science Department at the Massachusetts Institute of Technology. She is also the director of the Laboratory for Information and Decision Systems. Her research expertise includes optimization theory, with emphasis on nonlinear programming and convex analysis, game theory, with applications in communication, social, and economic networks, distributed optimization and control, and network analysis with special emphasis on contagious processes, systemic risk and dynamic control. 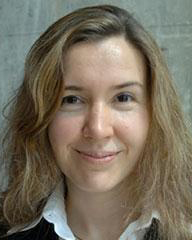 Professor Ozdaglar is the recipient of a Microsoft fellowship, the MIT Graduate Student Council Teaching award, the NSF Career award, the 2008 Donald P. Eckman award of the American Automatic Control Council, the Class of 1943 Career Development Chair, the inaugural Steven and Renee Innovation Fellowship, and the 2014 Spira teaching award. She served on the Board of Governors of the Control System Society in 2010 and was an associate editor for IEEE Transactions on Automatic Control. She is currently the area co-editor for a new area for the journal Operations Research, entitled “Games, Information and Networks” and the chair of the Control System Society Technical Committee “Networks and Communication Systems”. She is the co-author of the book entitled “Convex Analysis and Optimization” (Athena Scientific, 2003). The talk will review power system theory by merging two viewpoints. Firstly and more recently, the network science viewpoint, which exploits the structural features of the power grid (or networks); and secondly, the dynamical systems viewpoint, which emphasises the nonlinear dynamics. It appears that the whole of the nearly 100-year old subject of power systems can be rewritten in the dynamical networks paradigm to provide new insights. Recent work in this line from engineering and science researchers has given new life to the theoretical basics of power networks, particularly in the areas of stability and distributed control. These contributions including those of the speaker will be presented. 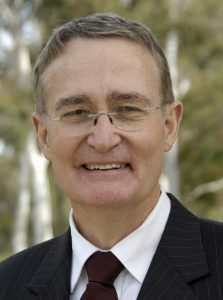 David J. Hill received the PhD degree in Electrical Engineering from the University of Newcastle, Australia, in 1976. He holds the Chair of Electrical Engineering in the Department of Electrical and Electronic Engineering at the University of Hong Kong. He is also a part-time Professor in the Centre for Future Energy Networks at The University of Sydney, Australia. During 2005-2010, he was an Australian Research Council Federation Fellow at the Australian National University. He has held various positions at the University of Sydney since 1994 including the Chair of Electrical Engineering until 2002 and again during 2010-2013 along with an ARC Professorial Fellowship. He has also held academic and substantial visiting positions at the universities of Melbourne, California (Berkeley), Newcastle (Australia), Lund (Sweden), Munich and in Hong Kong (City and Polytechnic Universities). His general research interests are in control systems, complex networks, power systems and stability analysis. His work is now mainly on control and planning of future energy networks and basic stability and control questions for dynamic networks. Professor Hill is a Life Fellow of the Institute of Electrical and Electronics Engineers, USA. He is a Fellow of the Society for Industrial and Applied Mathematics, USA, the Australian Academy of Science, the Australian Academy of Technological Sciences and Engineering and the Hong Kong Academy of Engineering Sciences. He is also a Foreign Member of the Royal Swedish Academy of Engineering Sciences. “Stop-and-go” traffic oscillations require multiple hyperbolic PDEs to capture correctly – as a minimum, separate density and velocity dynamics need to be included, as in the state-of-the-art Aw-Rascle-Zhang model which, unlike the previous `gas dynamics’ imitations of traffic, also includes elements of human behavior (“forward-oriented” attention, collision avoidance, etc.). Instability of the stop-and-go kind arises due to the coupling in the PDEs throughout their domain. While in the far future, with fully automated freeways, control will be possible at each vehicle, allowing the PDEs to be decoupled by feedback, the means of traffic actuation of today are located only at “boundaries,” as in the case of ramp metering at the freeway entrance. Simple collocated static feedback laws do not suffice for stabilizing PDEs that are coupled domain-wide. The domain-wide decoupling with boundary control is possible, however, using the backstepping approach, which also allows estimation of both the states and the unknown parameters of the freeway and the drivers on it, all from sensing only at the ramp. I will illustrate the theoretical/mathematical and methodological ideas for the boundary control of coupled hyperbolic PDEs within the setting of traffic control and other applications. Miroslav Krstic is Distinguished Professor of Mechanical and Aerospace Engineering, holds the Alspach endowed chair, and is the founding director of the Cymer Center for Control Systems and Dynamics at UC San Diego. He also serves as Associate Vice Chancellor for Research at UCSD. As a graduate student, Krstic won the UC Santa Barbara best dissertation award and student best paper awards at CDC and ACC. Krstic has been elected Fellow of seven scientific societies – IEEE, IFAC, ASME, SIAM, AAAS, IET (UK), and AIAA (Assoc. Fellow) – and as a foreign member of the Academy of Engineering of Serbia. He has received the ASME Oldenburger Medal, Nyquist Lecture Prize, Paynter Outstanding Investigator Award, Ragazzini Education Award, Chestnut textbook prize, the PECASE, NSF Career, and ONR Young Investigator awards, the Axelby and Schuck paper prizes, and the first UCSD Research Award given to an engineer. 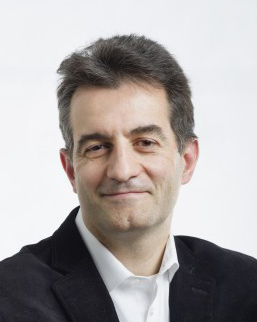 Krstic has also been awarded the Springer Visiting Professorship at UC Berkeley, the Distinguished Visiting Fellowship of the Royal Academy of Engineering, the Invitation Fellowship of the Japan Society for the Promotion of Science, and honorary professorships from four universities in China. He serves as Senior Editor in IEEE Transactions on Automatic Control and Automatica, as editor of two Springer book series, and has served as Vice President for Technical Activities of the IEEE Control Systems Society and as chair of the IEEE CSS Fellow Committee. Krstic has coauthored twelve books on adaptive, nonlinear, and stochastic control, extremum seeking, control of PDE systems including turbulent flows, and control of delay systems. Since the advent of the celebrated sampling theory by Shannon, the notion of band-limited signals have become very popular and prevalent. It shows that band-limited signals can be perfectly reconstructed from their sampled values. This fact led to the common understanding that one has to limit the signal bandwidth below the so-called Nyquist frequency to bring the digital signals into successful processing or control. This talk challenges this band-limiting principle. While the Shannon theory guarantees perfect reconstruction for perfectly band-limited signals, there are many practical situations where the basic band-limiting hypothesis is not met, due to physical or practical constraints on the sampling period. For example, the superresolution in image reconstruction, rejection of high frequency disturbance signals beyond the Nyquist frequency, etc. This requires to optimally reconstructing intersample signals, including high frequency components. We will show that with a suitable choice of a signal enerator model, this objective is indeed attained using robust sampled-data control theory. This can lead to many new applications in control and signal processing which were deemed impossible due to the limitation of the band-limiting hypothesis. We will show various applications in image processing, tracking/rejection of high frequency disturbance signal beyond the Nyquest frequency, e.g., in hard-disc drives, and also indicate some new areas which may lead to a new horizon of digital control and signal processing. Yutaka Yamamoto received his B.S. and M.S. degrees in engineering from Kyoto University, Kyoto, Japan in 1972 and 1974, respectively, and the M.S. and Ph.D. degree in mathematics from the University of Florida, in 1976 and 1978, respectively. From 1978 to 1987 he was with Department of Applied Mathematics and Physics, Kyoto University. In 1987 he joined the Department of Applied Systems Science as an Associate Professor, and became a professor in 1997. He had been a professor at the Department of Applied Analysis and Complex Dynamical Systems, Graduate School of Informatics of Kyoto University until 2015. He is now Professor Emeritus of Kyoto University. His research and teaching interests are in realization and robust control of distributed parameter systems, learning control systems, and sampled-data systems, its application to digital signal processing, with emphasis on sound and image processing. He received Sawaragi memorial paper award in 1985, outstanding paper award of SICE in 1987 and in 1997, the best author award of SICE in 1990 and in 2000, the George S. Axelby Outstanding Paper Award in 1996, and the Commendation for Science and Technology by the Minister of Education, Culture, Sports, Science and Technology Prizes for Science of Technology in 2007. He received the IEEE Control Systems Society Distinguished Member Award in 2009, and the Transition to Practice Award of the Control Systems Society in 2012, as well as the ISCIE Best Industrial Paper Award in 2009. He received the Tateishi Prize of the Tateishi Science and Technology Foundation in 2015. He is a Fellow of the IEEE and IFAC and SICE. He served as President of the IEEE Control Systems Society for 2013, and is Past President. He has served as vice President for Technical Activities of the CSS for 2005.2006, and as vice President for Publication Activities for 2007.2008. He was an associate editor of the IEEE Transactions on Automatic Control, Automatica, Systems and Control Letters, and is currently an associate editor of Mathematics of Control, Signals and Systems. He has served as a Senior Editor for the IEEE Transactions on Automatic Control for 2010.2011. He also served as an organizing committee member of 35th CDC in 1996, MTNS’91 in Kobe, and as a member of program committees of several CDC’s. He was the chair of the Steering Committee of MTNS, served as General Chair ofMTNS 2006. He is a past President of ISCIE of Japan. The talk tackles the problem of integrating mechanisms typical of biological evolution with human decision making and dynamics over networks. Starting form the concepts of competition and cooperation in social systems, the effects of heterogeneous and nonlinear interactions among the members of a population are investigated. Standard evolutionary game equations are extended to account for the presence of connection networks, and to study the influence of topology on decision making. Moreover, self-regulating mechanisms, modeling internal processes, such as awareness and learning, are shown to induce inertial forces driving individuals towards more cooperative states. Interestingly, self-regulation produces different effects in weakly and strongly connected individuals, thus allowing to point out how meaningful are networks in human societies. This is particularly evident when analysing emergence of cooperation, for which it is possible to identify selfish and altruistic dynamic traits. Theoretical results on the stability of steady states at global and local level, including consensus over the network, are presented. Additional conclusions arising from numerical experiments are also discussed. 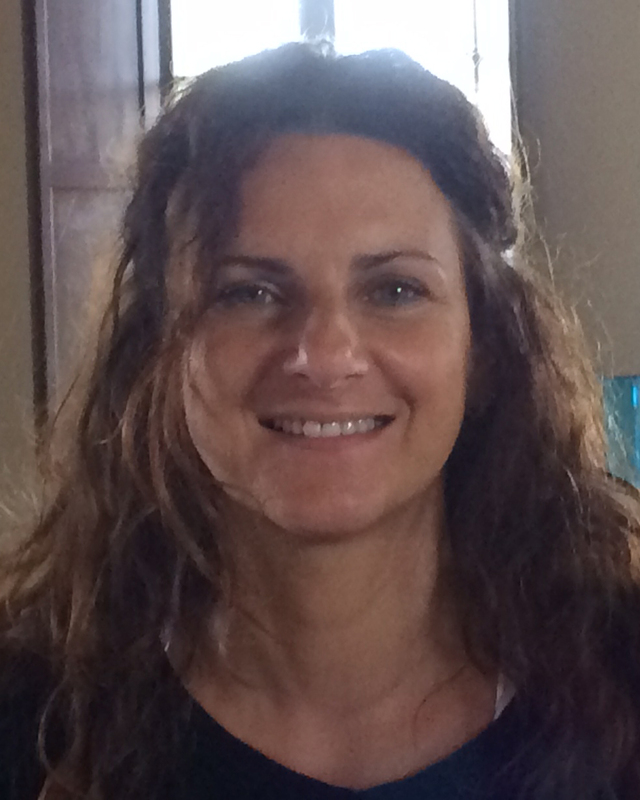 Chiara Mocenni is an associate professor of Systems and Control at the Department of Information Engineering and Mathematics (DIISM) of the University of Siena since October 2015. She teaches Game Theory and Evolutionary Games and Complex Dynamic Systems in the Courses of Management and Information Engineering of the University of Siena. Chiara Mocenni has been researcher and assistant professor at DIISM from 2002 to 2015. She received her Laurea Degree in Mathematics from the University of Siena in 1992’s. Before joining the Systems and Control Group at DII in 1998 as Research Associate, Chiara Mocenni received the PhD in Physical Chemistry defending a thesis on mathematical modeling of ecological systems. From the 2000’s until its deactivation on 2012, she has been fellow of the Center for the Study of Complex Systems of the University of Siena and served on its Board of Directors. In 2013 Chiara Mocenni founded the Complex Systems Community, a network of researchers working in the field of complex systems. From 2013 to 2016 Chiara Mocenni is Special Visiting Researcher at IMPA – Instituto Nacional de MatemÃÂ¡tica Pura e Aplicada of Rio de Janeiro – Brazil. The research developed at IMPA concerns Evolutionary Games on Networks for Modeling Complex Biological and Socio-Economic Phenomena. Quantum error correction is used in quantum computing to protect quantum information from errors due to decoherence and other quantum noise. Quantum error correction is essential if one has to build a quantum device to store, transmit, or process quantum information. In this talk, we will describe the mathematical framework and some recent results and problems on quantum error correction using operator theory approach. Professor Chi-Kwong Li received his mathematics BA and PhD degrees from The University of Hong Kong. He is currently the Ferguson Professor of Mathematics at the College of William and Mary, an affiliate member of the Institute for Quantum Computing, University of Waterloo. He is a co-director of the International Research Center for Tensor and Matrix Theory at the Shanghai University in China, and is a member of the scientific board of the Applied Algebra and Optimization Research Center of the Sungkyunkwan University in South Korea. 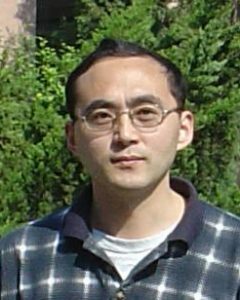 The research interest of Li is on matrix, operator theory and their applications, and he has been focusing on quantum information science in recent years. He has published more than 300 research articles. He is on editorial boards of research journals including “Linear and Multilinear Algebra” (chief editor), “Operators and Matrices” (chief editor), Linear Algebra and its Applications (senior editor). 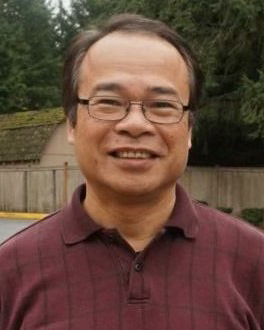 Li has received many awards in research and teaching including 2015 JMAA Ames Awards for a recent paper in the Journal of Mathematical Analysis and Applications, the 2011 Fulbright Award, 2009 William and Mary Plumeri Award for Faculty Excellence, 2008 William and Mary Simon Teaching Prize, 2004 Virginia Outstanding Faculty Award. Many mechanical systems exhibit continuous symmetries that lead to dynamic models for those systems where the state space carries the structure of a homogeneous space of the symmetry Lie group. These models are prevalent in mobile robotics where such symmetries ultimately derive from the physical fact that the laws of rigid body motion are invariant to a change of reference frame. Control theory for systems on Lie groups and homogeneous spaces is a well developed subject that has been studied since the 1970s with several popular textbooks available. In contrast, observer theory for such systems is much less developed and real progress on observer design principles for such systems has only been made in the last 10 years. In this talk I will summarize the current state-of-the-art in observer design for kinematic systems with complete symmetries and show examples of applications of this theory to mobile robotic systems. The resulting state estimation algorithms are computationally much simpler than the alternative stochastic filters but show similar practical stability and robustness properties. Most of the observers in this talk have existing real-time implementations in on-board embedded hardware. Jochen Trumpf received the Dipl.-Math. and Dr. rer. nat. degrees in mathematics from the University of Wuerzburg, Germany, in 1997 and 2002, respectively. 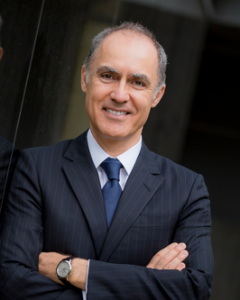 He is currently an Associate Professor in the Research School of Engineering at the Australian National University. His research interests include observer theory and design, linear systems theory and optimisation on manifolds with applications in robotics, computer vision and wireless communication. He currently serves as Associate Editor for MCSS. The field of quantum information processing (quantum computing and quantum communication) has seen a tremendous progress during the past few decades. Many proof-of-principle experiments on small-scale (few physical degrees of freedom) quantum systems have been realized within various physical frameworks such as NMR (Nuclear Magnetic Resonance), trapped ions, cavity quantum electrodynamics, linear optics and superconducting circuits. Despite all these achievements, and in order to make this a useful technology, a major scaling step is required towards many-qubit (quantum bit) protocols. The main obstacle here is the destruction of quantum coherence (called decoherence) due to the interaction of the quantum system with its environment. The next critical stage in the development of quantum information processing is most certainly the active quantum error correction (QEC). Through this stage, one designs, possibly using many physical qubits, an encoded logical qubit which is protected against major decoherence channels and hence admits a significantly longer effective coherence time than a physical qubit. While a theory of quantum error correction has existed and developed since mid 1990s, the first experiments are being currently investigated in the physics labs around the world. A central challenge in all these experiments is related to real-time feedback control required for error correction. After reviewing some of the theory behind this field, I will explain how this central challenge can be attacked through passive control and dissipativity. I will also overview a series of recent experimental developments in this area. Mazyar Mirrahimi graduated from Ecole Polytechnique, France, with a major in Applied Mathematics in 2003. He defended his PhD under the supervision of Pierre Rouchon at Mines Paristech in 2005. He was then hired as a permanent research scientist at INRIA in 2006. His initial research interests concerned nonlinear dynamical systems, geometric control and control of partial and stochastic differential equations. Later, he focused his research on quantum information and quantum control. During the period of 2005 to 2010, he collaborated with physicists in the teams of Serge Haroche at Ecole Normale Supérieure and Hideo Mabuchi at Caltech/Stanford and on various aspects of quantum measurement and quantum feedback with cavity quantum electrodynamics (QED) systems. From 2011 to 2013, he spent two years as a sabbatical visitor at the Applied Physics Department of Yale University, collaborating with the teams of Michel Devoret and Robert Schoelkopf. Through these collaborations, he has contributed to the design and analysis of various experiments on quantum error correction and quantum reservoir/dissipation engineering with superconducting circuits, giving rise to publications in high impact journals such as Nature and Science. He won “Inria-French Academy of Science young researcher award” in 2017. He is currently a director of research at INRIA, a part-time professor at Ecole Polytechnique, and a visiting scientist at Yale University. He is the leader of QUANTIC research group, a joint group between INRIA, Ecole Normale Supérieure and Mines Paristech, formed by experimental physicists and applied mathematicians. cation of the agent-level dynamics, can help to characterize critical properties such as convergence, stability, controllability, robustness, and performance. Correspondingly, an extensive literature has emerged in the field of evolutionary games on networks, particularly regarding the question of how cooperation can evolve and persist under various conditions and in various population structures. In this talk, I will provide a brief survey of some recent results in the analysis and control of evolutionary dynamics. In particular, I will focus on two classes of decision-making strategies, namely imitation and best-response, and show how they might lead to dramatically different collective dynamics. I will also illustrate how to apply classical tools and new ideas to control such complex dynamics. Ming Cao is currently professor of systems and control with the Engineering and Technology Institute (ENTEG) at the University of Groningen, the Netherlands, where he started as a tenure-track assistant professor in 2008. He received the Bachelor degree in 1999 and the Master degree in 2002 from Tsinghua University, Beijing, China, and the PhD degree in 2007 from Yale University, New Haven, CT, USA, all in electrical engineering. From September 2007 to August 2008, he was a postdoctoral research associate with the Department of Mechanical and Aerospace Engineering at Princeton University, Princeton, NJ, USA. He worked as a research intern during the summer of 2006 with the Mathematical Sciences Department at the IBM T. J. Watson Research Center, NY, USA. He is the 2017 and inaugural recipient of the Manfred Thoma medal from the International Federation of Automatic Control (IFAC) for his outstanding contribution to the field of systems and control as a young researcher under 40 years old. He is the 2016 recipient of the European Control Award sponsored by the European Control Association (EUCA) for his fundamental contributions to distributed and cooperative control of multi-agent systems and complex networks. He is an associate editor for IEEE Transactions on Automatic Control, IEEE Transactions on Circuits and Systems and Systems and Control Letters, and for the Conference Editorial Board of the IEEE Control Systems Society. He is vice chair of the IFAC Technical Committee on Large Scale Complex Systems and also a member of the IFAC Technical Committee on Networked Systems. His main research interest is in autonomous robots and multi-agent systems, decision-making dynamics and complex networks. Cooperative control of mobile sensor networks has attracted much research interest in recent years due to its potential application such as search and environmental monitoring. This talk will focus on coverage control of mobile sensor networks on a one-dimensional space: a network of mobile sensors should distribute themselves over a one-dimensional space with the object to minimize the time cost for them to arrive at any point in the space. We first introduce the coverage control problem of networked mobile sensors on a line with non-uniform roughness by considering the different actuation constraints of the sensors. Then, the coverage control problem of a circle by a network of mobile sensors with different velocity constraints affected by measurement errors will be presented. Finally, directions for future research on coverage control will be discussed. Xiaofan Wang received the Ph.D. degree from Southeast University, China in 1996. He has been a Professor in the Department of Automation, Shanghai Jiao Tong University (SJTU) since 2002 and a Distinguished Professor of SJTU since 2008. He received the 2002 National Science Foundation for Distinguished Young Scholars of P. R. China, the 2005 Guillemin-Cauer Best Transactions Paper Award from the IEEE Circuits and Systems Society, the 2008 Distinguished Professor of the Chaing Jiang Scholars Program, Ministry of Education, China. 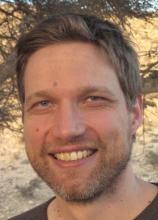 His current research interests include analysis and control of complex dynamical networks. 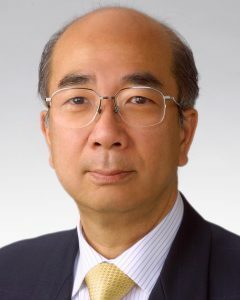 He is currently the Chair of the IFAC Technical Committee on Large-Scale Complex Systems, Steering committee member of the IEEE Transactions on Network Science and Engineering (TNSE), Board member of the international Network Science Society (NetSci) and Chair of the Chinese Technical Committee on Complex Networks and System Control. Equilibrium modeling is common in a variety of fields such as game theory, transportation science, and cell metabolism. The inputs to these models, however, are often difficult to estimate, while their outputs, i.e., the equilibria they are meant to describe, are often directly observable. By combining ideas from inverse optimization with the theory of variational inequalities, I will present an efficient, data-driven technique for estimating the parameters of these models from observed equilibria. Our framework allows for both parametric and non-parametric estimation and provides probabilistic guarantees on the quality of the estimated quantities. I will present applications in two seemingly distinct areas. In transportation networks we use these techniques to estimate the congestion function, which determines users’ route selection. Using actual traffic data from the Boston area, we have been able to quantify the inefficiency of drivers’ selfish behavior compared to a socially optimal solution, also called the price of anarchy. In biochemical networks, Flux Balance Analysis (FBA) is a widely used predictive model which computes a cell’s steady-state chemical reaction fluxes as a solution to an optimization problem. FBA, however, assumes a certain global cellular objective function which is not necessarily known. We will use our new method to estimate such an objective. This enables us to elucidate the cellular metabolic network control mechanisms and infer important information regarding an organism’s evolution. Yannis Paschalidis is a Professor of Electrical and Computer Engineering, Systems Engineering, and Biomedical Engineering at Boston University. He is the Director of the Center for Information and Systems Engineering (CISE). He obtained a Diploma (1991) from the National Technical University of Athens, Greece, and an M.S. (1993) and a Ph.D. (1996) from the Massachusetts Institute of Technology (MIT), all in Electrical Engineering and Computer Science. He has been at Boston University since 1996. His current research interests lie in the fields of systems and control, networks, optimization, operations research, computational biology, and medical informatics. 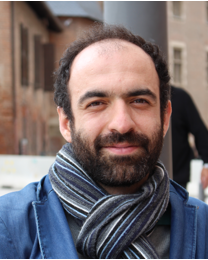 Prof. Paschalidis’ work has been recognized with a CAREER award (2000) from the National Science Foundation, the second prize in the 1997 George E. Nicholson paper competition by INFORMS, the best student paper award at the 9th Intl. Symposium of Modeling and Optimization in Mobile, Ad Hoc, and Wireless Networks (WiOpt 2011) won by one of his Ph.D. students for a joint paper, an IBM/IEEE Smarter Planet Challenge Award, and a finalist best paper award at the IEEE International Conference on Robotics and Automation (ICRA). His work on protein docking (with his collaborators) has been recognized for best performance in modeling selected protein-protein complexes against 64 other predictor groups (2009 Protein Interaction Evaluation Meeting). His recent work on health informatics won an IEEE Computer Society Crowd Sourcing Prize. He was an invited participant at the 2002 Frontiers of Engineering Symposium organized by the National Academy of Engineering, and at the 2014 National Academies Keck Futures Initiative (NAFKI) Conference. Prof. Paschalidis is a Fellow of the IEEE and the Editor-in-Chief of the IEEE Transactions on Control of Network Systems. In this talk, we discuss distributed optimization problems with constraints over multi-agent networks. After a brief overview, we focus on two distributed computation problems for the optimal solutions to resource allocations and to matrix equations. Distributed design for resource allocation is an important problem, which can be viewed as a constrained optimization with equality or inequality constraints. Its distributed design is quite challenging because it becomes a coupled constraint between agents. Also, we actively employ the techniques of distributed convex optimization to solve the distributed computation problem of a well-known matrix equation in several standard cases. We propose distributed gradient-based algorithms to solve them with convergence analysis. Yiguang Hong received his B.S. and M.S. degrees from Dept of Mechanics of Peking University, China, and his Ph.D. degree from Chinese Academy of Sciences (CAS), China. He is currently the Guan Zhaozhi Professor in Academy of Mathematics and Systems Science, CAS, and serves as the Director of Key Lab of Systems and Control, CAS and the Director of the Information Technology Division, National Center for Mathematics and Interdisciplinary Sciences, CAS. His current research interests include nonlinear control, multi-agent systems, distributed optimization and game, machine learning, and social networks. 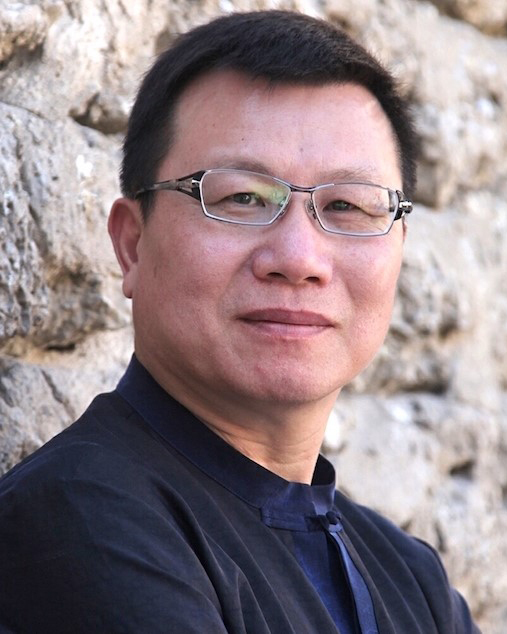 Prof. Hong serves as Editor-in-Chief of Control Theory and Technology and the president of TCCT of Chinese Association of Automation (during 2018-2022). He also serves or served as Associate Editors for many journals including IEEE Transactions on Automatic Control, IEEE Transactions on Control of Network Systems, IEEE Control Systems Magazine, and Nonlinear Analysis: Hybrid Systems. He is a recipient of Guan Zhaozhi Award at Chinese Control Conference, Young Author Prize of IFAC World Congress, Young Scientist Award of CAS, the Youth Award for Science and Technology of China, and National Natural Science Prize of China. Also, he is a Fellow of IEEE.